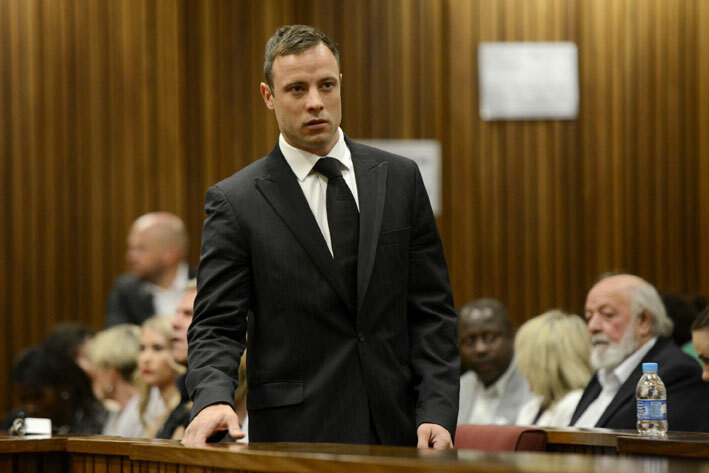 Convicted murderer Oscar Pistorius has filed notice he intends to appeal to the Constitutional Court against his conviction of a charge of murder for the Valentine’s Day 2013 killing of his girlfriend Reeva Steenkamp. Pistorius’ advocate Barry Roux told the court during Pistorius’ bail hearing on Tuesday the defence had reached an agreement with the prosecution Pistorius would be released on R10 000 bail, but under very strict conditions, including house arrest and electronic monitoring. This was pending the outcome of his application for leave to appeal against a ruling of the Supreme Court of Appeal, which set aside his culpable homicide conviction and instead found him guilty of murder, with dolus eventualis as the form of intent. He said if the application for leave to appeal failed, Pistorius would have to come back to court for new sentencing proceedings. Roux said one of the conditions agreed to for Pistorius’ release was that he could not leave his house – he lives with his millionaire uncle Arnold Pistorius in the leafy Pretoria suburb of Waterkloof – at all. This was because of the state’s insistence on the condition. Deputy Judge President Aubrey Ledwaba wanted to know if this would not amount to extra punishment, but prosecutor Gerrie Nel said the only reason why the state agreed to bail at all was because stricter conditions would allow the state to monitor Pistorius’ movements. Roux said Pistorius had been out on bail and adhered to already strict bail conditions while facing a charge of premeditated murder and would not now become a flight risk. Nel pointed out that Pistorius was now a convicted murderer, which changed the situation. He conceded that Pistorius, who was previously out on R1 million bail, could now only afford R10 000 bail. Roux argued in the SCA that Pistorius was broke and could not afford further lengthy legal proceedings. It is not clear at this stage who will fund his appeal to the Constitutional Court. Nel told the court the state would at the very least conceded to Pistorius leaving his home at set times within a very small radius for monitoring purposes. If he moved further afield, an alarm would go off. Pistorius was released under house arrest at the end of October after serving just under 12 months of his five-year sentence on a charge of culpable homicide. A full bench of the Supreme Court of Appeal earlier this month ruled that Judge Thokozile Masipa had made errors in law, applied the principles of dolus eventualis incorrectly and should have convicted Pistorius of murder.